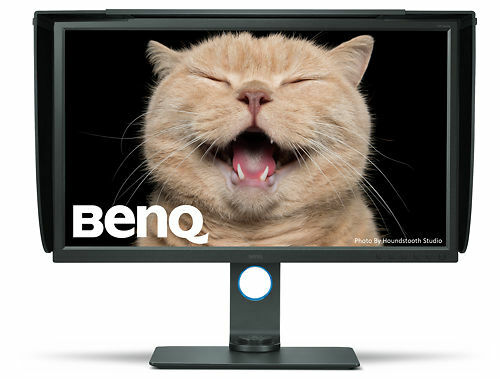 Historically, BenQ have been hugely successful in the high end gaming market - offering very high performing products at highly competitive prices thanks to being the only monitor makers that control their own entire production chain - of both the LCD panels themselves, and all the surrounding electronics. In 2013 they entered the colour accurate market, and in the ensuing years have become a significant part of the high end monitor market in Australia, with a number of very popular and very affordable models. 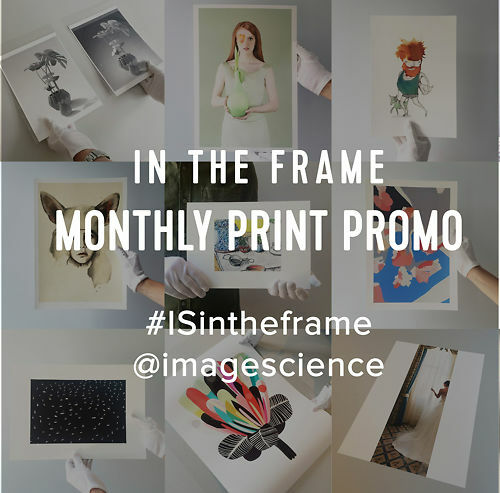 Image Science have been BenQ's Key Channel Partner since their entry in to the high end photo, video and graphics markets - and put simply if you're buying a BenQ monitor, you should buy it from us - no one else has the depth of knowledge of, and experience with, the BenQ AQ Colour monitors as we do. 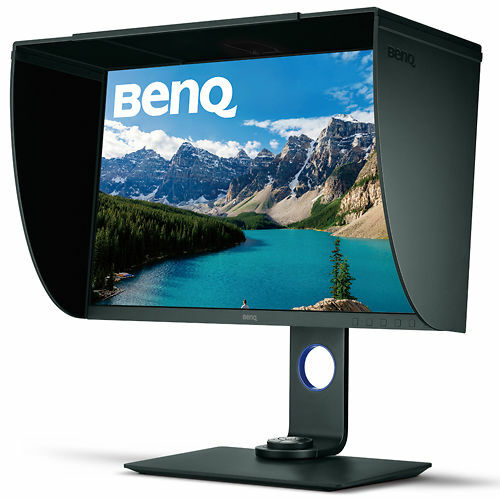 We have a fabulous relationship with BenQ and we're hear to answer any questions you might have about these monitors - before or after your purchase. 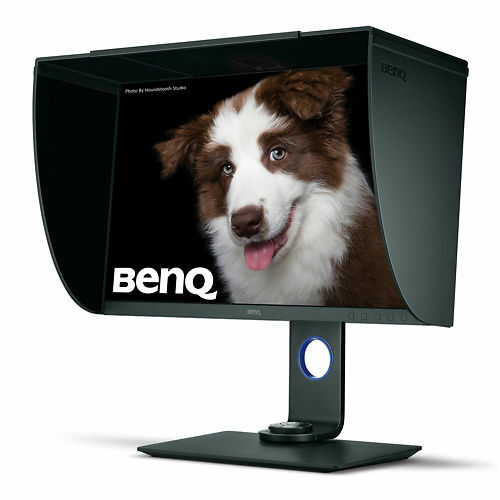 Hot new model in 2018 - The BenQ SW271! The PV Series is BenQ's flagship colour accurate series - targeted specifically at high end content production work in the Photo, Print, Video, VFX, and Rendering areas. These monitors offer the same features as the better known options from Eizo and NEC - 10 bit input/panels, high bit depth/3D Look Up Tables (LUTs), Direct Hardware Calibration support, and excellent colour accurate quality and general ergonomics. The PV270 model is a real winner - excellent size and image quality, incredibly good pricing for a complete package (you only need to add an i1Display Pro), and the addition of a number of video editing friendly features mean this one has become very popular with both still image makers and video producers alike. The SW271 arrived in 2018 and is making huge waves - a 27 inch 4K screen with all the features you could want and an amazingly low price point of $1599. Whilst technically the SW271 is part of a different range, it is so good (and such great value!) that we've put it in this list (read our evaluation to see why!). This model has become hugely popular - a 4K, colour accurate wide gamut model with great performance at an amazing price - who doesn't want that?? 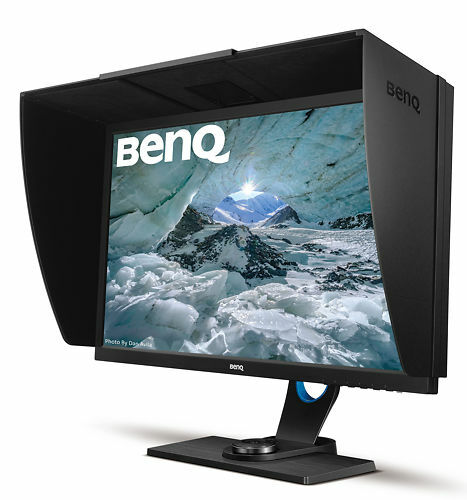 And if you want the biggest bad boy out there, then the BenQ SW320 is the logical choice. 32" of 4K beauty. 99% coverage of AdobeRGB colour space - see more colour, accurately! 10 bit input and 14 bit internal processing and 3D LUTs means higher fidelity in general, and smoother gradients in particular. 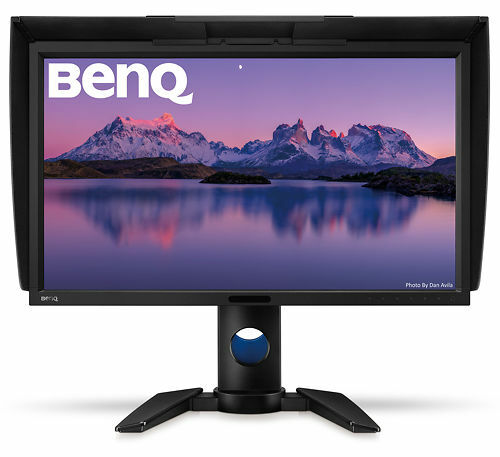 Add an i1Display Pro and you have a complete direct hardware calibration solution using BenQ's included Palette Master Software. With monitor, hood, stand, cables, and software included, the only accessory you need to add for a complete colour accurate monitor solution is an i1Display Pro calibrator! The PV270 and SW271 support most of DCI-P3 colour, and 1080/24p input for judder free playback. They're also Technicolor certified. 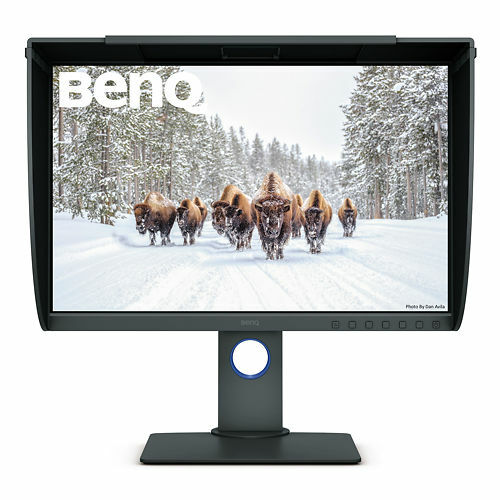 The SW Range is technically BenQs 'Prosumer' range - and we've specifically sourced their SW2700 option here to offer a significantly lower priced but still very good quality 27" monitor. That said with the enhanced PV27 model above being only $300 more, make sure you give that strong consideration too. There's a new 24" model too, at a fantastically affordable price. These models have many of the features of the P range - wide gamut, high bit depth processing etc., and while it's not quite up to the P series quality, they're surprisingly close and it's a huge step up for colour accuracy from the pedestrian desktop monitors most people are running (like Apple Cinema Displays and Dell Ultrasharps). Well worth considering if you're after significant improvement with your colour but you're on a tighter budget! These monitors come with a wide range of cables, an excellent monitor hood, and Palette Master Elements direct hardware calibration software - compatible with both i1 Displays (our recommendation), and Spyders. 99% Adobe RGB coverage means you can see a wider range of more saturated colour, accurately. 10 bit input and 14 bit 3D LUT internal processing means high fidelity colour from input to visual output. Quick controller mounted on the monitors stand makes for very easy control of screen's functions and switching between preset modes. The BenQ SW series are without doubt the leaders in value for money - very aggressive pricing, a huge array of features, and great quality all bundled together!